Established in 1890, The Island Golf Club enjoys a unique setting bordered by sea on three sides. 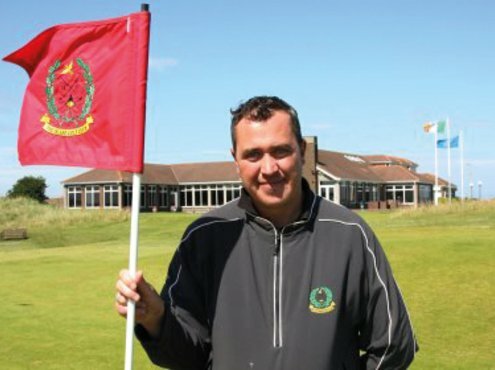 Links Superintendent, Dave Edmondson, has been at the club for six years and spoke to us about his impressive career to date and club developments. Besides being one the first twelve golf clubs founded in Ireland, it is the third oldest in Dublin and predates Portmarnock Golf Club by four years. 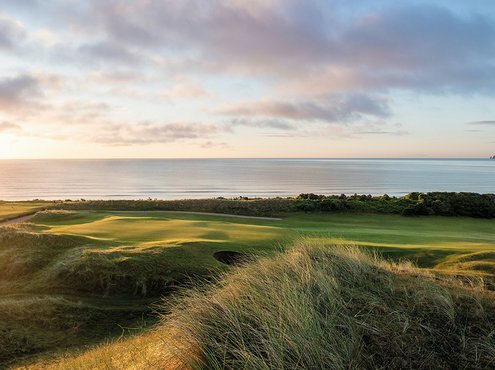 A classic links course set in a rugged terrain and nestled between the highest sand dunes along the east coast, the Island is favourably located in the remote and tranquil Estuary of Donabate and Malahide. 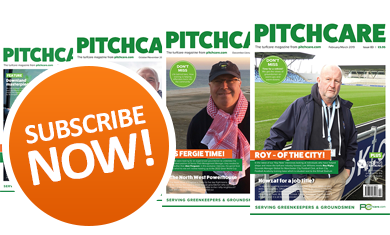 We wanted to find out more about the club, it's current status and of course delve into the vast industry experience of Dave Edmondson. How did you get into the industry and where did you work prior to your current position? After playing golf as a junior and my dreams of making the European tour fading by the day, I decided the turf industry was something I was keen on getting involved with (after talking to the greenstaff at my local club in Lancashire). During the school holidays, from the age of fourteen until sixteen, I helped out the greenstaff at my local club and enjoyed every aspect of it. 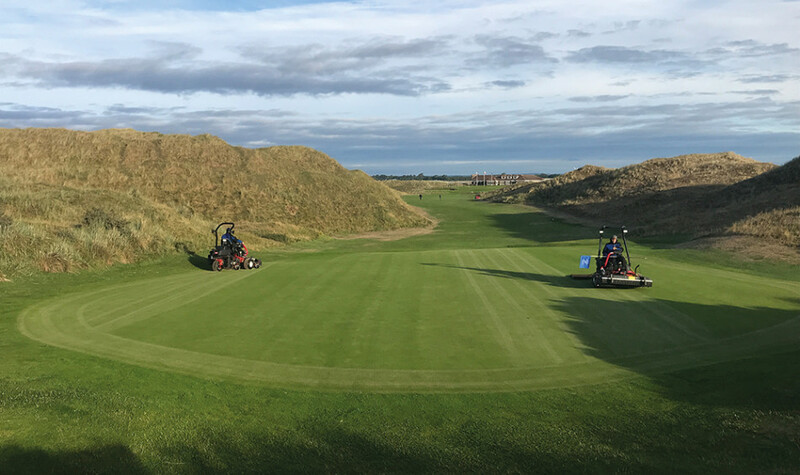 As it was only a small crew, I was given the opportunity from an early age to carry out tasks such as hand mowing tees, strimming, cutting surrounds and also setting up the golf course. After leaving school, I enrolled on a first diploma in Horticulture that I studied at Myerscough College. Following on from that, I did a three-year National Diploma which was fantastic as I got an opportunity to do two six month placements at The Wisley and Luttrellstown Castle here in Dublin. After meeting my wife in Dublin, who worked at the same golf club at the time, we stayed in Ireland for a year and moved to Loughrea as Sarah's mother had unfortunately passed away and she wanted to be close to her father during that tough family time. I worked in a men's clothes shop in County Galway for a year, before returning to Preston for six years where I got a position at Penwortham Golf Club. The club was going through some exciting times and I was involved with the reconstruction of all greens from soil based to USGA specification, tee levelling practices, some drainage and a woodland management project. After six years at Penwortham, four of those being a Deputy Head Greenkeeper, I got an opportunity to move to Paris to a golf club called Golf de St nom La Breteche which was an exclusive private members club near Versailles. I worked with a French speaking large team of twenty-eight staff, with only two Anglophones on the team. I really was thrown in at the deep-end and had to learn quickly. During my time at St Nom, I worked closely with the superintendent there and was given some fantastic opportunities at the club. These included the management of two courses, a European tour event and various in-house construction projects. It was a fun time in my career and one that I will always look back on and say I'm glad that I made the step to come out of my comfort zone, especially with the language barrier. 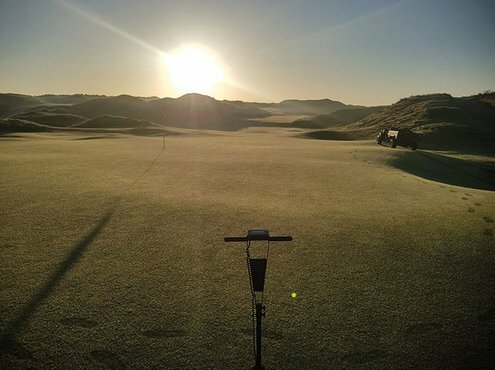 Following St Nom, I applied for a job in Royal Ostend in Belgium where I was the Head Greenkeeper for nearly three years. Ostend was enjoyable and the French that I had learned in Paris was useful as the team was a split of French speaking guys and Flemish guys who thankfully spoke great English. During my time in Belgium, we converted many bunkers to revetted style, started a species conversion to fine links grasses and made subtle improvements to the golf course. We were also the first club in Belgium to achieve GEO status. What training and education did you undertake? I have carried out the following courses at Myerscough College: 1st Diploma in Horticulture (studied full-time), National Diploma in Sportsturf (full-time), a Foundation Degree in Sportsturf (part-time) and a BSc (Hons) Degree in Turfgrass Science (studied online). As well as this, I hold all spraying certificates, I'm CPD registered and have carried out numerous short courses. I am a member of the Golf Course Superintendents Association of Ireland, BIGGA and also an R&A Scholar, all of which I think are important to be a part of. I also attend Irish Links initiative days twice a year. Was there one person who inspired you? There have been a few people along the way who have been brilliant and really encouraging in pushing me along with my career. Too many to name really and I have been lucky enough to have great support and encouragement wherever I have worked. Bill Warnick, my Superintendent in Paris, was excellent and I have the upmost respect for the opportunities that he gave me during my time there. Jean Phillipe Schepens, the Greens Chairman in Belgium was brilliant and it was great to pick his knowledge as he was a top guy and a very successful businessman. He really understood the route the club was following with species transition and was a smart guy. All of the Greens Chairmen I've worked with have been excellent; Brian Kennedy, John Quigley and John Prendergast. Also, the membership and committees of The Island have been so supportive over the last six years here. Are you responsible for budgets or do you report to someone else? I am responsible for keeping my budget on track and also work closely with my GM at The Island, John Lawler, when constructing the greens budget at the start of the financial year. All budgets, of course, have to be approved by the finance committee and ultimately the membership of the club. The course is a Championship links with nineteen holes which is 6903 yards and a Par 71. There is also an extra par 3 in the corner of the golf course. What is the total acreage and how is this split up? The site is 185 acres with surfaces as follows: greens 1.1 hectares, tees 1 hectare, aprons and surrounds: 2 hectares, fairways: 9 hectares, semi-rough and walkoffs: 3 hectares. What additional staff do you have? I have a great team comprising Keith Byrne, Jonathan Mitchell, Gary Myers, Dan Hunter, Kevin Canavan (jointly responsible for first aid with Keith), Matty O Rourke, Pat McGann and Alan Callaghan. Do you employ a workshop technician? 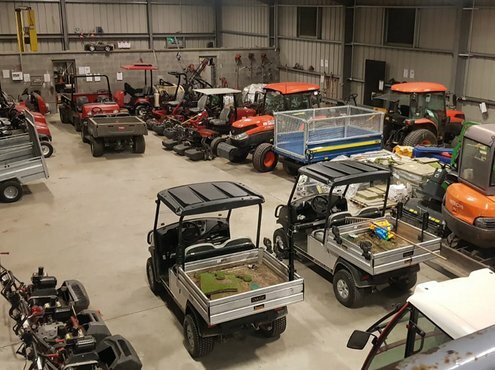 Our Senior Greenkeeper doubles up as the course mechanic and carries out servicing and maintenance in-house. What additional help do you get? DAR Golf carrying out the work over the past few years. How would you describe the soil profile generally? Fine native dune sand natural rootzone. How were the greens and tees constructed? We have several original greens that were cut out of the native landscape which I classify as original greens. Some were reconstructed about eighteen years ago with a modified rootzone, dune sand and organic matter. Another was set about thirteen years ago which we refer to as the new green. Matching up playing characteristics can be a tough balance to strike at times. Do they require any special maintenance techniques? All surfaces are managed in line with STRI recommendations. Do you have any additional equipment/systems at your disposal? Irrigation on the links was upgraded in 2006 on fifteen holes, however, the remaining three holes are still using a thirty-year-old installation which can be quite challenging at times. Areas irrigated are: greens, aprons and surrounds, tees, fairways, walkways and practice ranges. Does the course suffer from any regular natural occurrences? 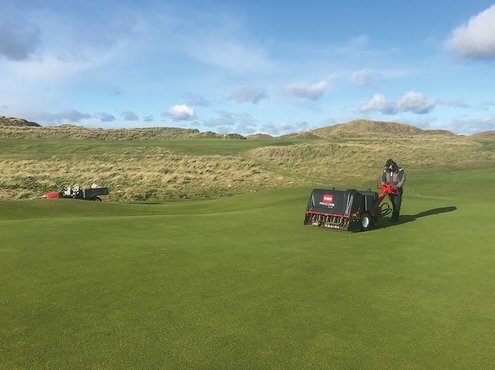 As we are based in a low area of rainfall (if not the driest part of the country), maintaining turf over native dune sand with high volumes of traffic can be very challenging. We try our best at all times, but 2018 was an extremely challenging year. We now have more members and greenfee play than ever. Are there issues with shade and air flow? Several of our greens do not get a great deal of sunlight, more so in the winter months when the sun is low in the sky. It's amazing how many microclimates there are on this particular site. 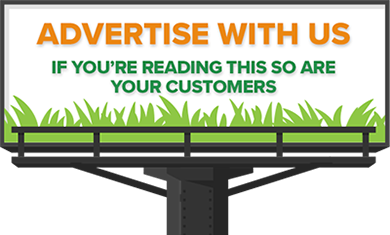 Do you use temporary greens? No. The frost policy of the club is that it is either a full course open or it stays closed in frosty conditions. 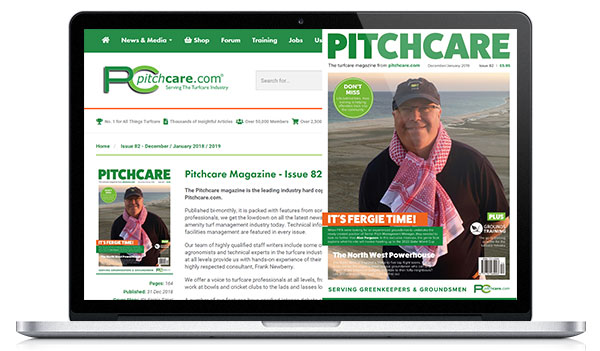 Damage doesn't occur only to the putting surfaces; frost can cause damage to all types of playing surfaces. Do you have a driving range/practice facility? We have practice facilities. Chipping green and driving range with artificial and natural turf tees. Putting greens are maintained no lower than 4.5mm at any time, which increases to 6.5mm in the winter.These are cut daily during the main growing season. They receive in the region of 35 to 40kg of Nitrogen, depending on the make up of each green. Sand topdressing is regular throughout the year and we generally apply in the region of 7mm depth of fresh material per annum. Organic matter is kept around 4.5% and soil tests are carried out annually. Greens are generally overseeded with approximately 400kg of a mixture of 50% chewings fescue and 50% slender creeping fescue. Wetting agent Revolution is applied monthly throughout the growing season. Overall, very little chemical is applied to the entire site. Aeration is generally every six weeks throughout the summer. We Hydroject with two deep aeration operations which are carried out during winter. Aprons and surrounds maintenance is exactly the same as greens. Frequency of cut is two times per week in the main growing season with a height of cut at 8mm. Tees maintenance is similar to greens, except we use a single application of Aqua Aid PBS 150 wetting agent per annum, divot and move markers daily. We tend to apply more granular fertiliser on tees to save time on application. These are hand-mown twice per week in the main season to 8mm. Fairways are mown once a week in the main growing season to 11mm with the same fertiliser regime as greens. All clippings are boxed off, regular wetting agent applications and deep aeration is once per year. Semi-roughs are generally cut once per week to 2 inches and we follow the same fertiliser and wetting agent schedule as we do for fairways. 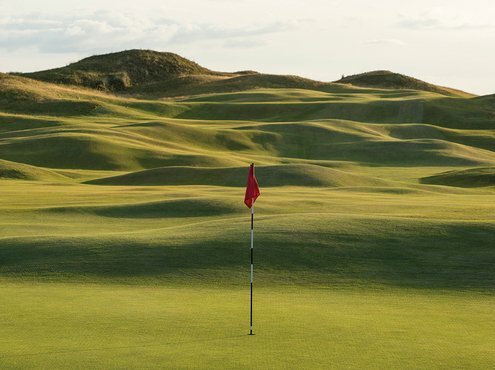 Our course setup is quite a large one and includes: trimming holes on days they are not changed, setting tees, divotting tees, raking bunkers and emptying bins. This is practically carried out 364 days a year. Other maintenace jobs include; tee banks, strimming, an awful lot of divotting and general presentation practices. Do you have specific tasks for specific staff or is it an 'all hands to the pump' approach? Our aim is to get every staff member carrying out each task to the same standard. For example, there is nothing more satisfying than seeing the younger guys getting to know the ropes when using a new machine. The more tasks the guys can carry out, the more versatile the team becomes. Very highly and this is an area that we always look to build on. What end of season and ongoing renovations do you undertake? dry year of 2018 showed up a few weaknesses and highlighted that we still have a way to go on a few fairways. 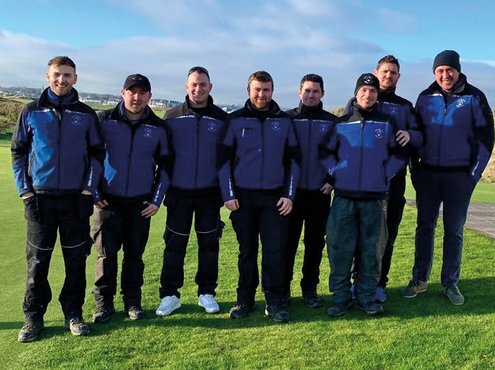 Course improvements are carried out every year with a busy winter programme each year. Bunker renovations take place regularly, in order to keep them at the desired standard of a club of this nature. Are renovations affected by budgets? As with any club, budgets have to be adhered to. Within our budget we have a winter programme/budget section. How have changing weather patterns affected what you do? I think our industry involves working with the weather. We are lucky to be based on a free draining site here at the club, so we do tend to remain open when other sites may be closed. Do you take regular soil samples to ascertain what work is required? Yes we monitor organic matter percentages on a yearly basis and our agronomic programme reflects the findings of these results. We also carry out nutrient analysis. We interact with our club members in many ways such as: Twitter (@Festucaman), regular membership newsletters and emails. 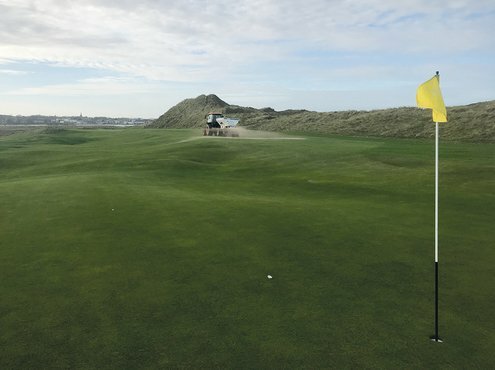 I blog every couple of months for the GCSAI which is put out by the Confederation of Golf here in Ireland. 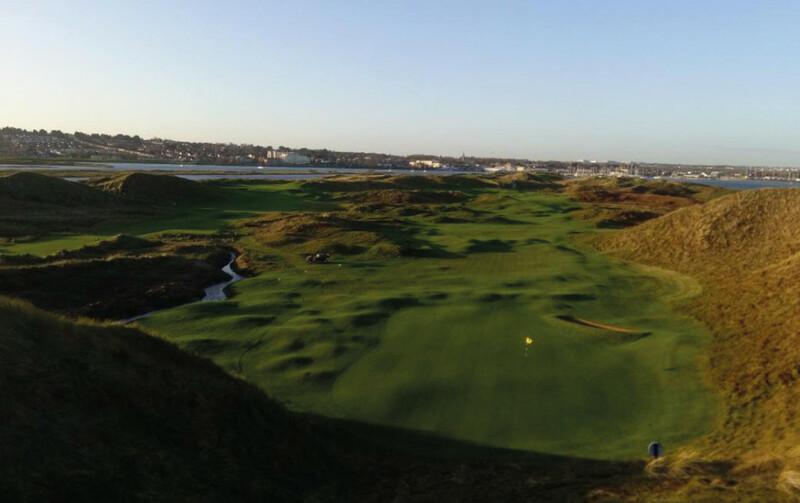 As we are preparing to co-host the Amateur Championship, with Portmarnock in 2019, this winter programme is small by nature. Revetting bunkers, improving links presentations are top of the agenda. What projects have been undertaken in recent years? 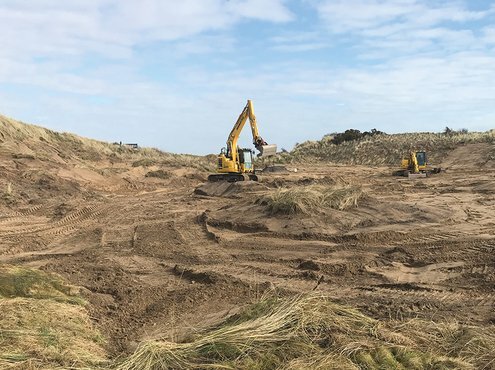 New maintenance facilty, new club car park, renovating bunkers, low dune creation in several places, new first tee complex, naturalised fairway bunkers and installation of four new championship tees. Do you offer ongoing training to your staff? Yes, very much so. Staff are encouraged to improve themselves with education and courses. This is something the club is keen on promoting. We have a five year machinery renewal programme in place. This helps us with budget predictions and allows us to gain better trade-in values when switching any of the machinery. We tend to buy direct from a manufacturer and predominantly purchase Toro machines. Are there any new pieces of kit that have significantly helped to improve your playing surfaces? Both of the Dakota topdressers have been fantastic in getting sand out, on both smaller and larger areas. The Amazone Profihopper has saved us many man hours this year when cutting and collecting roughs. For larger scale projects, we contract external course construction firms and we also contract out links verti-draining of fairways and walkways. We generally make one application of selective herbicide on main playing areas to control pests and weeds. We're very lucky in that we suffer from very few outbreaks, though there has been a little red thread on a few greens this winter. As with most links golf courses, rabbits are a problem on a certain holes and these are controlled by shooting. On a site like the Island, local flora and fauna would be very close to my heart. 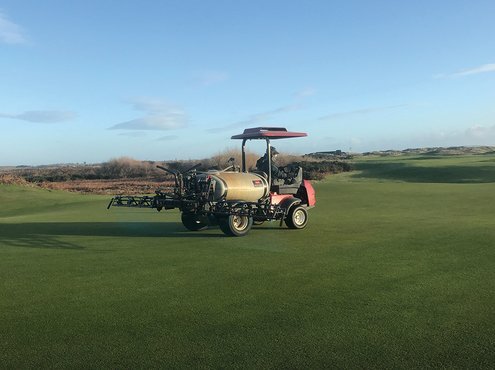 We are currently following an environmental plan set out by Bob Taylor of the STRI and we maintain good relationships with Fingal County Council Environmental team. I believe that there are many challenges ahead in terms of water restrictions, the withdrawal of certain pesticides and, of course, changing weather patterns that seem to be of a more regular occurrence. I feel there are more education opportunities than ever for youngsters to participate in and associations are also doing their bit to promote our industry. It can be frustrating at times trying to get messages across to members who don't particularly understand the challenges that we face as an industry. I suppose good communication is key in getting these points across. I don't believe we are undervalued, but we need to keep banging the drum through increased communication. We can't do this enough! The more we can show and highlight the tasks greenstaff carry out, along with the challenges that we face, the better the understanding will be.